And now a few examples. 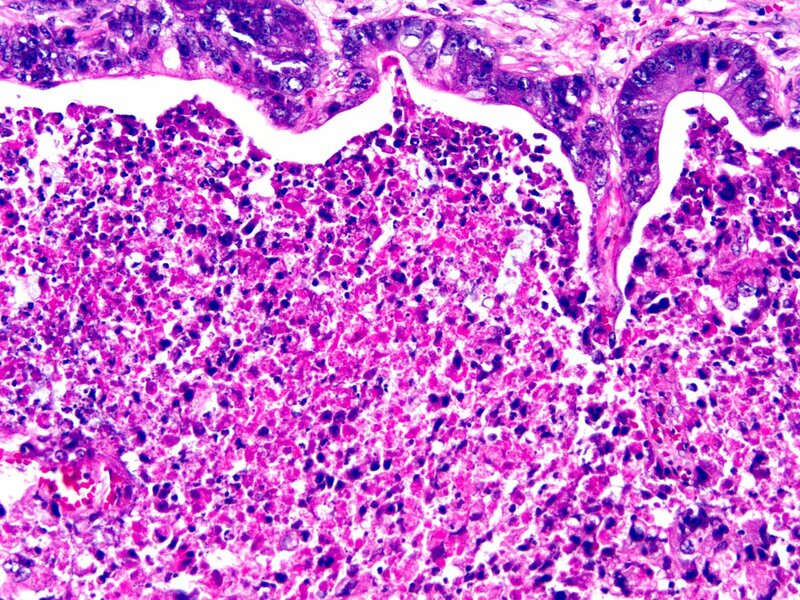 Necrosis in colorectal carcinoma is often described as “dirty” because it contains nuclear debris. This makes it look purplish instead of pink.